While a safe deposit box at the bank is the safest solution for storing important documents, if you’re like most homeowners, you have things you’d prefer to store at home. Birth certificates, marriage licenses, passports and other documents should always be stored in a fireproof safe to keep them from being destroyed in a house fire. Buying a safe is a critical component to your home security system. Gather all the documents you plan on storing, and take measurements. You may want to consider purchasing a safe that’s slightly larger than the bare minimum you need to leave room for documents you may need to add in the future. Fireproof safes are rated to keep the interior cooler when the exterior is exposed to the extreme temperatures of a fire. If you’re only storing documents, you need a fireproof safe rated to not get hotter than 350 degrees inside. Film and tape recordings should be stored in a safe rated to not exceed 150 degrees, and DVDs and computer disks need to be stored in a safe that won’t exceed 125 degrees. Most home safes are tested to withstand the intense heat of a fire for 30 minutes. If the temperature lasts longer, the things stored inside your fire box may be damaged. Fire experts indicate that the average fire burns for about 20 minutes, so a 30-minute fireproof safe is appropriate for most homes. 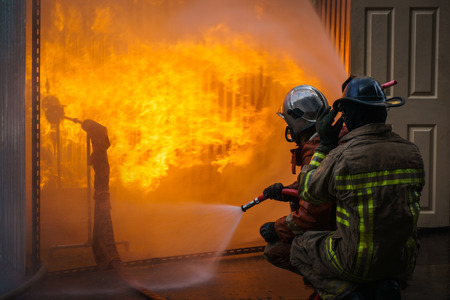 Since water is used to fight fires, it’s a good idea to invest in a fireproof safe that’s waterproof. A waterproof fire safe is the only way to ensure that the documents inside won’t be ruined by firefighting efforts. If you’re in the market for a fireproof safe in Denver, we can help. We sell top-quality safes that are engineered to protect important documents even in the most devastating fires. Call 303-756-1000 now to learn more.